With E3 just one weekend away, I have a strange feeling bubbling up in my stomach. Is this excitement… for a gaming convention? I do believe it is! But I haven’t truly looked forward to a gaming convention in nearly two years as the work involved often outweighs the rush of adrenaline I used to feel when thinking about visiting a PAX or E3. Let’s face it, with very few exceptions the online gaming world has been pretty bland lately. But this E3 might just be the breaking point in which we can finally look to our fellow MMO gamers that have stuck it out through the dark ages to nod knowingly, that the prophesized ‘Next-Gen’ titles have begun to arrive. Without further hyperbole, I will show you the top ten reasons I’m stoked to be leading MMOHuts and OnRPG’s E3 2013 coverage! Nostalgia is strong these days, especially with online gamers who have suffered too many back to back disappointments for so long. The Command and Conquer series can be considered one of the lesser of evils in this concept as their titles have remained quite popular iteration after iteration, but they seem to want to move before they feel the full pinch. How so? By going back to their routes and re-imagining it with more modern technology and graphics. Rose tinted glasses or not, that’s a concept that’s exciting enough to be worth mention. Even though I’ve been spending every weekend for the past month sinking hours into building my castle in the new RPG/castle builder/MOBA/WTF hybrid title Prime World, I’m still seriously dying to meet with the representatives from Nival at E3. Why? Because lately they’ve been pushing some interesting surveys on their site that seem to hint at possible massive changes coming to the game. This worries me as I hope they don’t destroy what makes the game so unique in order to attract a larger playerbase and I look forward to confirming my fears are unfounded. Who knows, maybe I’ll even snag a preview of some unreleased heroes or modes in the process? While most iTCG games are thinking small with their ‘revolution’ of gameplay by adding boards and upped animations, HEX is going full on MMORPG mode with raiding, PvP, sieges, and everything else you’d expect from a modern title all based around a trading card game. And while that alone isn’t enough to get me that excited, the fact that it’s being developed by the Cryptozoic, the crew behind the World of Warcraft Official Trading Card game means it’s going to be well balanced and creative. The fact that it’s an original IP means Cryptozoic can go hog wild with testing whatever ideas they prefer. And the fact that their kickstarter goal was $300k and they nearly reached $2.3 million means funding issues should be an afterthought. I can’t wait to learn more about their extended goals at E3. Now while the above title is a tale of Kickstarter glory, Skara is a tale similar to Camelot Unchained in that it looked like it wasn’t going to fund. Thus I couldn’t be happier to use our sites to build awareness of this title with our E3 coverage because this game NEEDS to happen. It brings so many combat features to the table that you just can’t find in the industry currently. Action combat, skill-based combat, real consequences for defeat, real rewards for victory, a community that builds the story alongside the developers, and unforgiving combat unlike anything before it. If you need to know more about this game NOW, then be sure to read up on Leliah’s interview and back them on Kickstarter asap because they need all the momentum they can get. Wargaming is no stranger to being on top lists at gaming conventions. What most of the press don’t tell you is their legendary parties and massive gaming tournaments are usually just as responsible for this as their games themselves. But this E3 they may just eclipse both with the long awaited reveal of World of Warships! The initial screenshots and video suggest that we’ve never seen a F2P naval title even remotely on par with what Wargaming is bringing to the table. Combined with their constantly updated Tanks and soon to be launched Planes, their booth is not to be missed at E3. 5. Final Fantasy XIV: Can it truly be Reborn as a Successful title? It’s been two months now since my buddy Platypus has begun talking non-stop about the return of Final Fantasy XIV. Granted the guy is an FF junkie and I didn’t have high hopes for a successful return of this title after its initial launch two years ago. But Square-Enix seems to be willing to pay any price to not lose face on their second stab at an FF MMO and the recent videos seem to set the standard of what Next-Gen graphics should be. Check out Proxzor’s recent beta impressions to alleviate your worries that the game lacks substance behind the pretty graphics. I just need to get my hands on the game myself to confirm the hype, and hopefully grab Platy and a few of our lucky viewers access keys in the process! 4. WildStar: 2013’s Most Anticipated. Don’t let other games tell you otherwise! I can already hear the cries. “What only #4?! It’s ******* WildStar noob!” Well unfortunately Carbine Studios was unable to prepare their planned E3 reveal in time for the show so it’s mostly going to just be a rehash of all the info we’ve seen so far. Good news if you just recently stumbled across the game and need a time saving way to learn more. Bad news if you’ve been following the title since it’s PAX Prime reveal in 2011 like me. Still I hold quite a bit of joy knowing that the Alienware Booth will have a playable demo since I only managed to sneak in 15 minutes of gametime at PAX East and have been dying to get another fix. Most people are so focused on Snail Games nearly 10 year long dev project, Age of Wushu. But a wild title has been lurking along in the shadows, with only tidbits of it revealed at last year’s ChinaJoy and GDC Austin. Well E3 is apparently the big reveal for Black Gold Online and I’m quite excited for this merely because it looks so fantastic and so little is known about it. And if there’s one thing that gets gaming press going, it’s being the first to see something so foreign and unknown. My number 2 spot goes to Trion Worlds for a combination of reasons. Things have just been crazy with them lately between the break off with Petroglyph and take over of End of Nations, the announcement of RIFT going F2P, and now as if they didn’t have enough attention on them they are using E3 to make the first western reveal of ArcheAge! ArcheAge itself has plenty of controversy going on in the east with its titles going F2P in some regions while being subscription in others. I have plenty of questions that likely won’t get answered by Trion but I’ll be damned if I don’t grill them for every tidbit of information on can now that ArcheAge is finally being actively promoted. Pearl Abyss must be one of the most mysterious studios out there. No signs of publishers representing them. A simply English website that virtually just exists to release a trailer roughly once a year. The only real information being released is through translated Korean interviews and the occasional odd Facebook post. Yet what it represents could be a sandbox title with action combat and siege warfare unparalleled in the industry. The best way I could ever hope to compare it to something familiar is if you took the mechanics from recent Legend of Zelda games and built it into an MMORPG. So it goes without saying that I just about blew a gasket when after 5 months of trying I received a response from Pearl Abyss asking if I wanted to talk to them at E3. Brace yourselves, this game might be the sleeper hit that sweeps the MMORPG world and establishes the bar for what a Next Gen title should be. E3 doesn’t have quite the fanbase size of cosplayers that you might expect at PAX but the ones there are usually professionals and bring their A game. You can be sure we’ll have plenty of pics to share in our upcoming day recap articles so look forward to it! 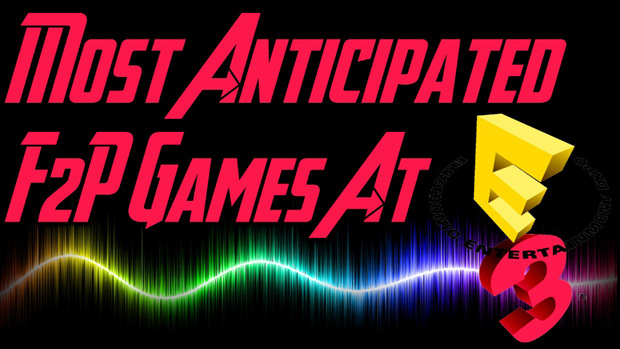 Now to be sure this is only a glimpse of our E3 coverage as we’re intending to hit up roughly 25 companies over a three day span next week and may even get a look at some awesome PC titles in our downtime like Saints Row IV! Be sure to keep an eye on OnRPG’s Twitter as well for on the fly updates and pictures from the show as it’s happening! 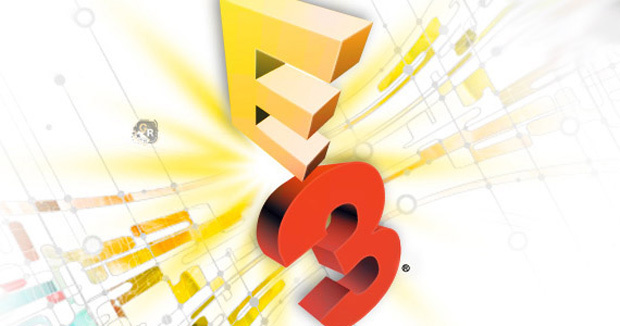 And keep a look out on MMOHut’s Youtube as James offers his thoughts on what to look forward to at E3 2013! Speaking of a game energizing the MMO industry, the makers of the MMO Citadel of Sorcery is showing their product to potential publishers this E3. Are they really?! That game is fantastic looking. Thanks for the tip. Glad I posted this now.